Both OFDM and OFDMA are used in many modern wireless systems including AC-MIMO Radio, 802.11ac and 4G/LTE. CDMA is widely used in 3G networks. Here we give a comparison of the advantages and disadvantages of OFDMA / OFDM and CDMA is often necessary to choose the correct system. Both CDMA and OFDM / OFDMA have their own advantages and disadvantages and therefore an OFDMA / OFDMA CDMA comparison can be beneficial. When undertaking an OFDM CDMA comparison, or more correctly an OFDMA CDMA comparison, it is necessary to take a look at all the advantages and disadvantages. Often the OFDM CDMA choice will not be easy, but many systems these days are tending to opt for the OFDM / OFDMA solution over the CDMA solution. The tables below outline some of the advantages and disadvantages of OFDM and OFDMA. These need to be considered when looking at an OFDM CDMA comparison. It is robust when combatting narrow-band co-channel interference. As only some of the channels will be affected, not all data is lost and error coding can combat this. Intersymbol interference, ISI is less of a problem with OFDM because low data rates are carried by each carrier. Provides high levels of spectral efficiency. Allows single frequency networks to be used – particularly important for broadcasters where this facility gives a significant improvement in spectral usage. OFDM is sensitive to Doppler shift – frequency errors offset the receiver and if not corrected the orthogonality between the carriers is degraded. Sensitive to frequency timing issues. Possesses a high peak to average power ratio – this requires the use of linear power amplifiers which are less efficient than non-linear ones and this results in higher battery consumption. The cyclic prefix used causes a lowering of the overall spectral efficiency. It is also necessary to look at the advantages of OFDMA when undertaking an OFDM CDMA comparison. With spectrum becoming more fragmented, especially for systems such as LTE and LTE advanced, fact that OFDMA provides flexibility of deployment across a variety of frequency bands with little need for modification is of paramount importance. When used in a cellular system, it is possible to minimise interference from neighbouring cells by using different carrier permutations between the two cells. Again when used with a cellular system, interference within the cell are averaged by using allocation with cyclic permutations. A single frequency network can be used to provide excellent coverage and good frequency re-use. Requires complex electronics to run the software – DSP including FFT algorithms needed for the forward error correction. This is always active regardless of data rate, although when no data is being transmitted the system can hibernate. However power consumption can be an issue. If only a few carriers are assigned to each user the resistance to selective fading will be degraded or lost. When used in a cellular system, co-channel interference from neighbouring cells is more complicated to combat than with CDMA as allocation of carriers needs to be coordinated between the two. Both OFDM and CDMA have significant benefits. OFDM can combat multipath interference with greater robustness and less complexity. Equalisation can be undertaken on a carrier by carrier basis. 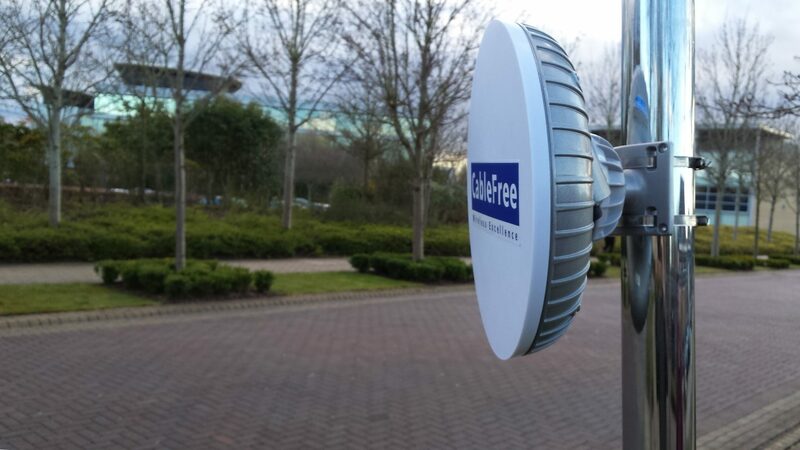 OFDMA can achieve higher spectral efficiency with MIMO than CDMA using a RAKE receiver. Cell breathing does not occur as additional users connect to the base station. Can be used to provide a single frequency network. It is relatively easy to aggregate spectrum. As CDMA has a wide bandwidth, it is difficult to equalise the overall spectrum – significant levels of processing would be needed for this as it consists of a continuous signal and not discrete carriers. While both CDMA (DSSS) and OFMD with its variants of OFDMA and SC-FDMA have advantages, many of the systems being implemented now are erring towards the use of OFDMA. With the increase in processing power, it is possible to generate and demodulate OFDM signals with relative ease. As increasing bandwidths are needed, OFDM is being used as it is relatively easy to scale and lends itself to the high data rates being required for many applications.